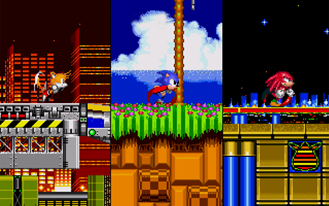 Sonic 2 was a big deal when it launched back in the early nineties - aside from being the first sequel to the smash hit original, it introduced bigger platforming levels with more unique elements, the now-ubiquitous Spin Dash attack, and a playable second character. Miles "Tails" Prower (it took me more than a decade to see the pun) could be played separately, but if the player chose to play as Sonic he would follow along as a limited AI character, trailing Sonic and usually dying in hilarious ways. The basic structure of the original game is preserved, including challenging bosses, fantastic music, and of course, levels tuned for speed. 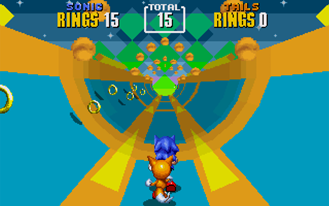 The Android version of Sonic The Hedgehog 2 comes from Christian Whitehead, whose excellent work on the Sonic CD and original Sonic Android ports did not go unnoticed. 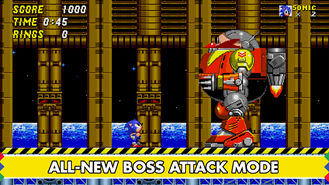 This remastered version of the game includes improved graphics and audio for modern hardware, a new Boss Attack mode, two-player versus mode, achievements, and leaderboards via Google Play Games, and a playable Knuckles (from Sonic 3 and onward). 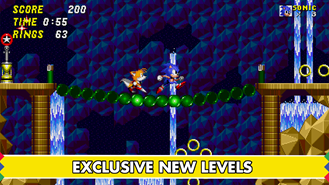 Players will also have access to the Hidden Palace Zone stage, a new level that was shelved during Sonic 2's original development. Best of all, you can now find a save option in the spanking new menu, which should alleviate lingering fears of a power outage erasing your paused game. Sonic The Hedgehog 2 is $2.99 in the Play Store, and it's compatible with devices running Android 2.3 and up.